KABDA has integrated with the Ktunaxa Natoin Council Economic Sector. This means access to more support services, with a focus on business development, contract procurement, and operational support. Recent joint initiatives with the Education & Employment, and Traditional Knowledge and Language Sectors, provides KABDA with a high level of engagement in Eco and Cultural Tourism initiatives. 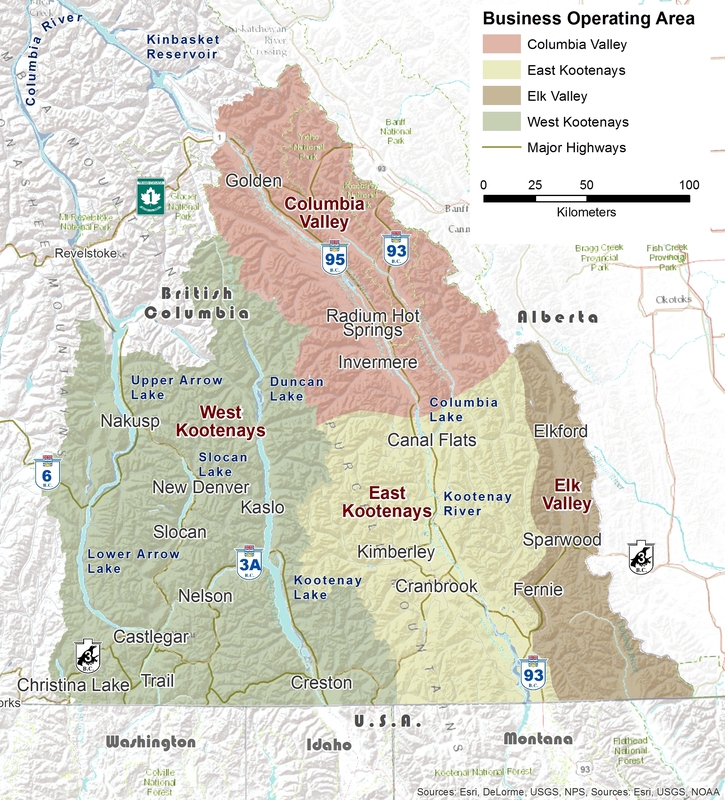 KABDA service area includes the West Kootenay as far as Christina Lake, the Columbia Valley up to Golden, the Cranbrook and Kimberley area, and the Elk Valley as far east to Elkford and the Alberta border and south to the U.S. border. If you’re a budding entrepreneur, or an existing business owner seeking to expand your business and would like some assistance, contact our office. We provide services in person, one on one, over the phone and via email. We also provide business seminars to help with your work place needs. For a full list of our seminars, go to our Business Seminars page. KABDA Business Development Officers travel regularly throughout the Kootenays, and are able to work around our clients busy schedules. Whether you want to meet at your business, or in the comfort of your own home, KABDA will accommodate your needs. For more information on our travel dates or to set up a meeting with a Business Development Officer, contact our office.